These wood pieces create a facade of de-nailed framing material. 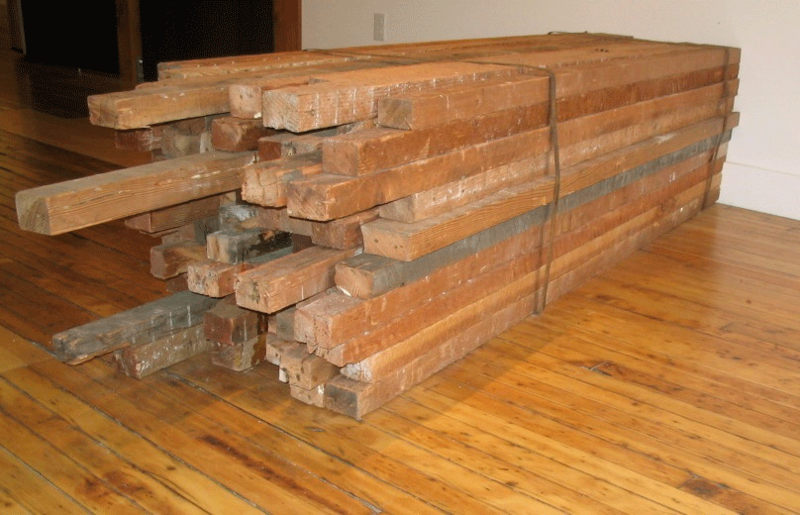 The front and top are rough-sawn, and the underside is smooth. 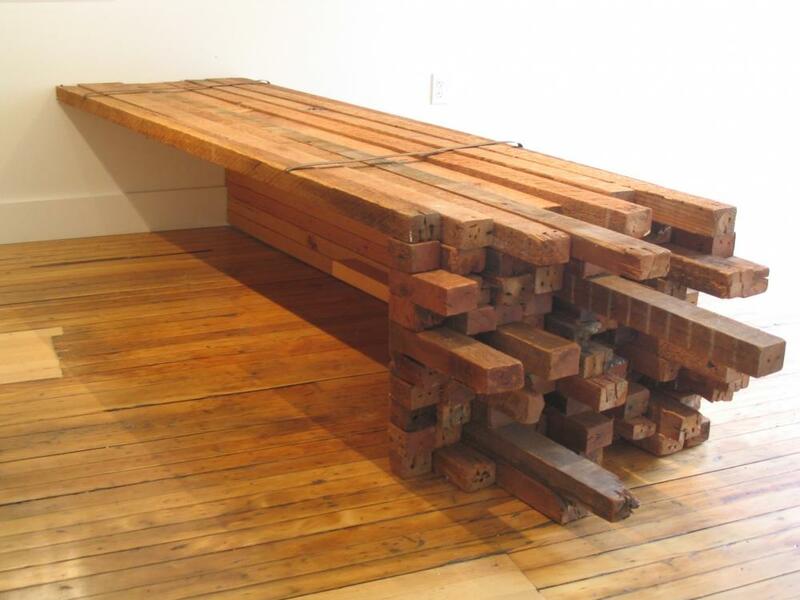 Gallery installation of salvaged old growth 2x4s.